PDG Mobility engineered and manufactured product line-up presented in a comparison chart. PDG Mobility is represented through our network of local representatives. Find a rep in your area. Dowload the Owner's Operation and Maintenance Manual for your PDG wheelchair for viewing and printing. Do you have any questions or feedback about our wheelchairs? Send our product specialists a message. 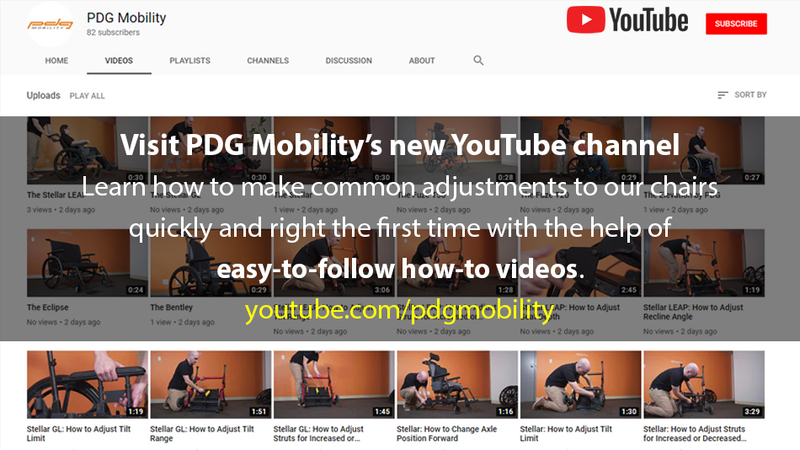 PDG designs and manufactures award-winning tilt-in-space, extra-wide heavy-duty bariatric, and now also high-performance ultralight adjustable wheelchairs. These products are designed to fit the needs of many individuals by providing improved function and independence. 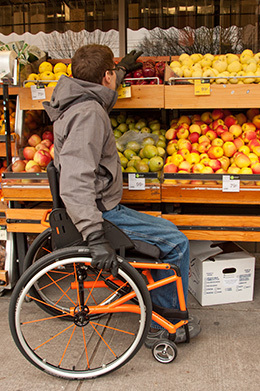 PDG products are engineered and tested to meet international mandatory and voluntary safety and performance standards including ISO, CSA, FDA, CE, and Wheelchair Transport Safety standards. We aim to ensure that every PDG wheelchair can be configured for a perfect fit. Not just on the day it is delivered, but for many years as an individual’s needs change over time. Designed to enable greater function, independence, and comfort, the Elevation wheelchair promotes activities of daily living. The seat height and backrest recline angle adjustment capabilities allow the user to self-adjust their sitting posture to best suit their current activity. 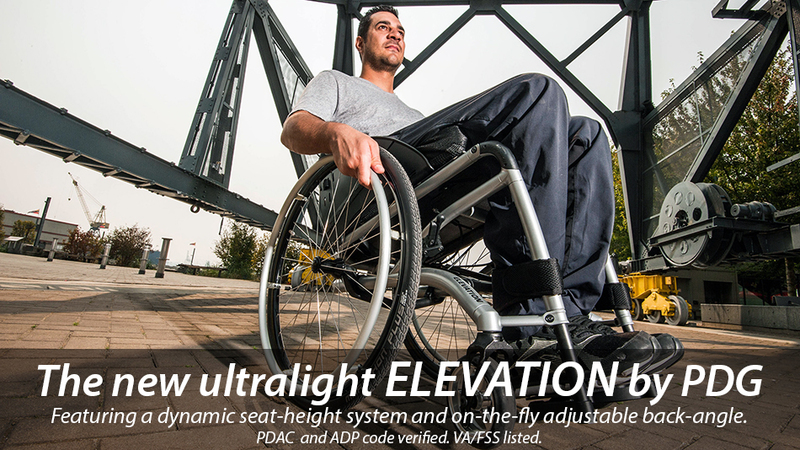 The Elevation is capable of up to 10 inches of on-the-fly seat height/dump adjustment and 30° of back recline. Click here to find out more about the Elevation. Wheelchairs that tilt, thereby relieving pressure and/or providing improved patient positioning, are used by children, adults and elderly people. Our premium tilt chair lineup includes the Bentley, the Fuze series, and the Stellar series. 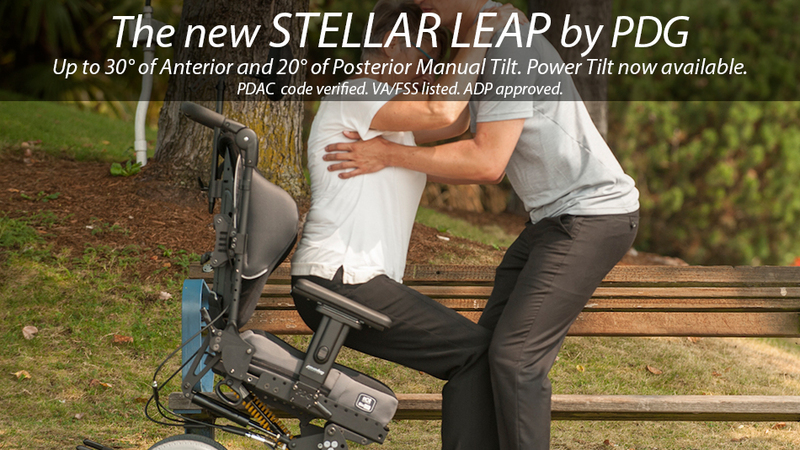 We are pleased to introduce the Stellar LEAP, the only manual wheelchair with anterior and posterior tilt and with dynamic backrest recline angle adjustment. Click here to find out more about the LEAP. PDG’s Eclipse offers bariatric individuals more independent mobility. A rigid frame and unique wheelbase design provide excellent maneuverability. 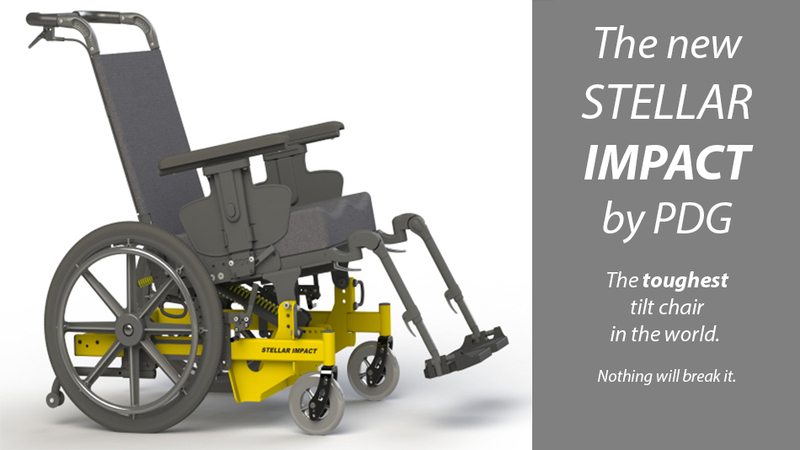 We also offer heavy-duty versions of the Bentley and the Stellar for bariatric individuals who require a chair with tilt capability. © 2019 PDG Product Design Group Inc.